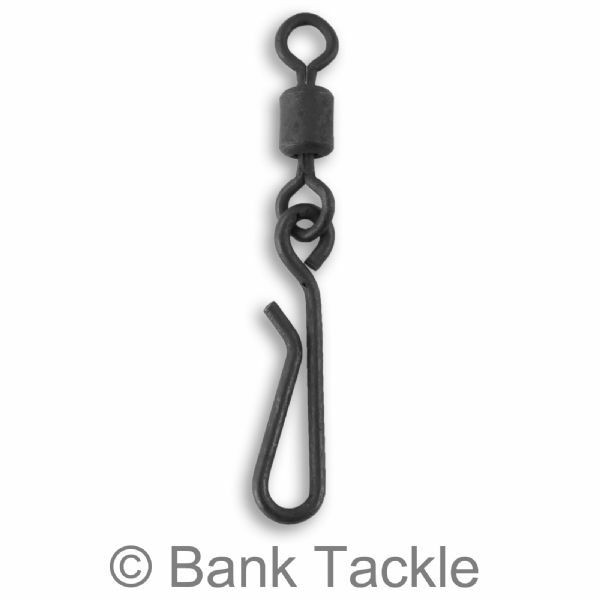 Hanging Snap Quick Change Swivels with a matt black non reflective coating to help prevent spooking wary fish. Quick Change Hanging Snap Swivels can be used as a Terminal Tackle component for making quickly changeable rigs. 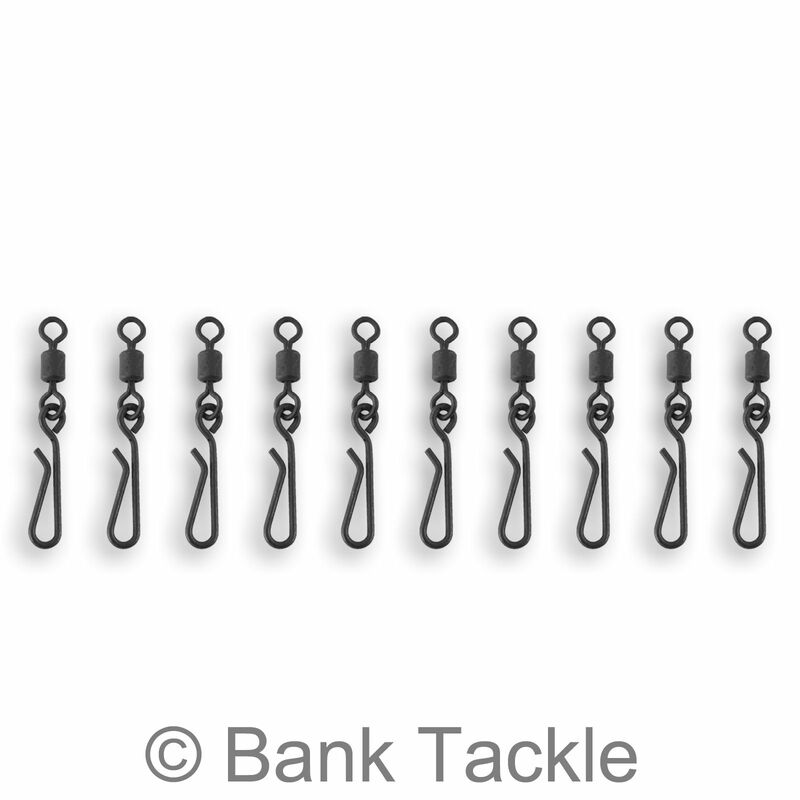 Used together with a Link Loop or a Quick Link they allow fishermen to quickly and easily change their rigs without the need to keep re-tying knots. Our Quick Change Hanging Snap Swivels are genuine UK size 8 and fit all standard sized Lead Clips on the market.